Is there anything better than good solid comfort food? In this dreary mid-winter, I’m drawn again to this casserole that my friend Corianne gave me back when I needed just to go dairy-free. The recipe is her mother’s, but it seems like food is a family affair — Corianne and her sister now run the vegan Treehouse Bakery in Phoenix (ask nicely — they do gluten-free! And if you’re in Phoenix or just a glutton for punishment, like them on Facebook to hear the list of flavors every day. Can I highly recommend the spicy chocolate cupcakes?). Anyway, I’ve tweaked very few things over the years I’ve had this recipe, as it’s pretty much perfect. It was easy to make gluten-free with quinoa pasta. Cook mac according to package directions, to the shorter end of the cooking time. Do not overcook! Drain. Pour into greased casserole dish. Add to food processor and process until smooth. Add these to the cashews, and process until smooth. Cover and bake for 30 minutes at 350F. Uncover. Top with gluten-free bread crumbs, if desired (I prefer it without, personally) and bake another 15 minutes uncovered. Enjoy. I think this is best served cold, in the morning, for breakfast, with coffee. But your mileage may vary. I think plenty of people like their mac n’ cheez hot. Yum. 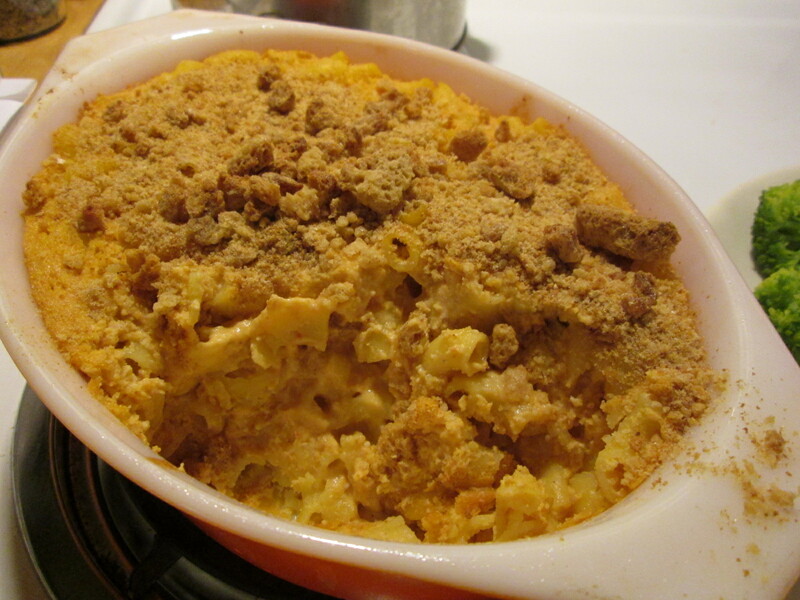 I love baked mac & cheese (and agree it’s the perfect comfort food) but haven’t yet found a vegan version I like. The last one I tried was overpowered by nutritional yeast flavor, which was…not ideal. So I appreciate this one has no nooch! Plus…props for liking it cold. 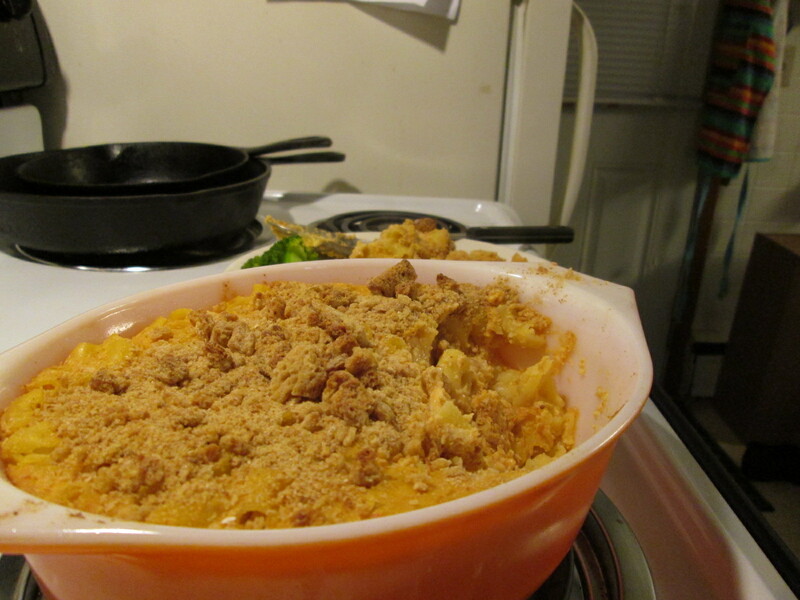 We made mac & cheese before Hurricane Sandy and ate it hot as the rain was starting, then ate it cold when the power went out. It was great both ways. Molly — as long as you can have cashews, maybe this will be your hit! 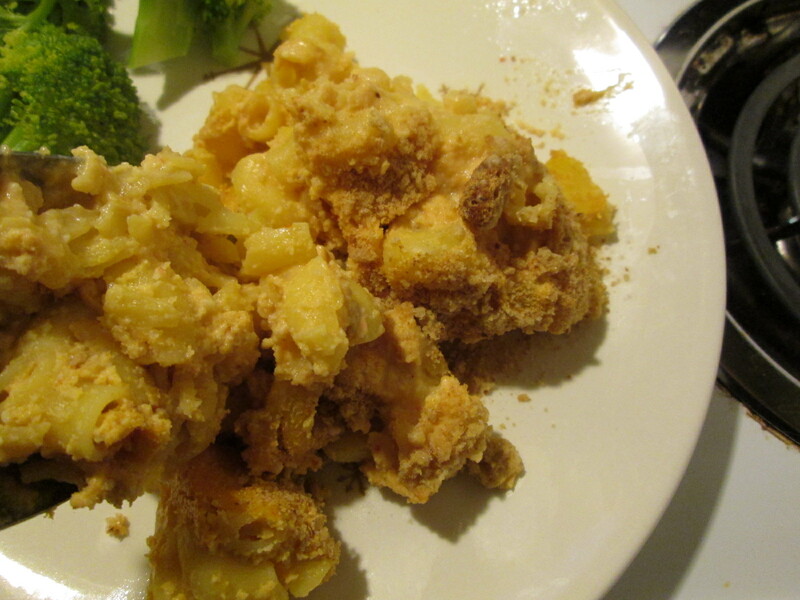 I love nutritional yeast in some other cheese-like dishes, but this is one of my all-time favorites. Let me know how it goes!